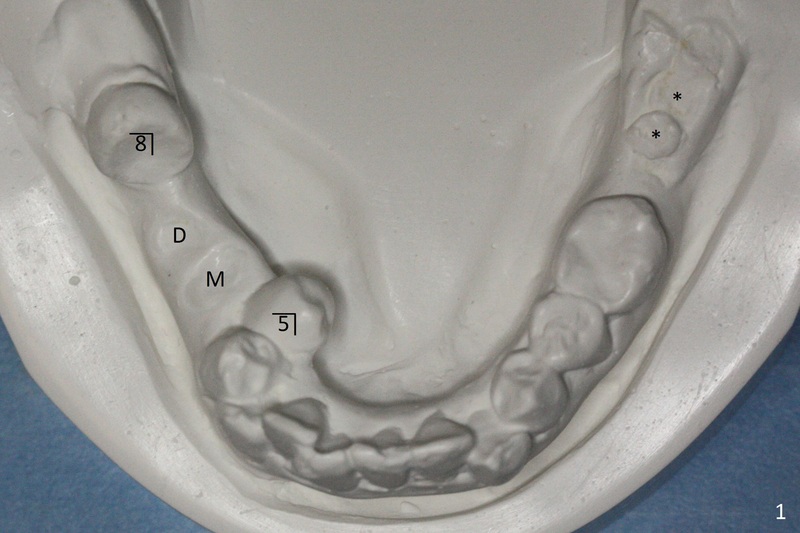 A 55-year-old woman has severe malocclusion, including linguoversion of the lower right 2nd bicuspid (Fig.1). The lower left 2nd and 3rd molars (*) and the lower right 1st molars (M (mesial) and D (distal)) have been decayed into residual root. The lower right 3rd molar is mesioangular.